Sunday: TBD - Bretton Woods, Attitash, Cannon, or Cranmore? Heh. It should be quieter there this weekend. And they've done well with snow this week. I bet the groomer surfaces are nice. I'm holding off on using my days there until the glades fill in. Heading out to Utah tonight. Skiing Solitude and Brighton for a bunch of days, then ending the trip with a few nights in Park City and skiing Deer Valley. Hope to come back to epic east coast conditions in a week. Hope you all get a 18" dump while I'm away! Cannon Saturday. Skinning up pats Sunday. Loon was good today and was consistent with their report. They got a uniform 4" top to bottom. They will definitely be grooming it all into the existing base, which should make it all really carveable and nice tomorrow. Enjoy. Looking at Burke for Saturday. 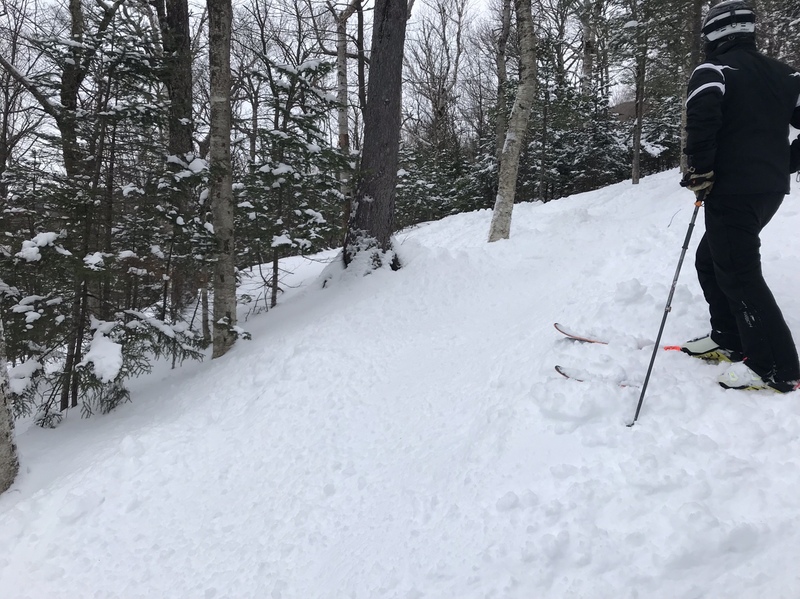 Attitash and Wildcat were both excellent this weekend. Soft snow. Trees in play. Wildcat was Awesome Both days, trees and ungroomed were all soft and fluffy ! Had a great Weekend !